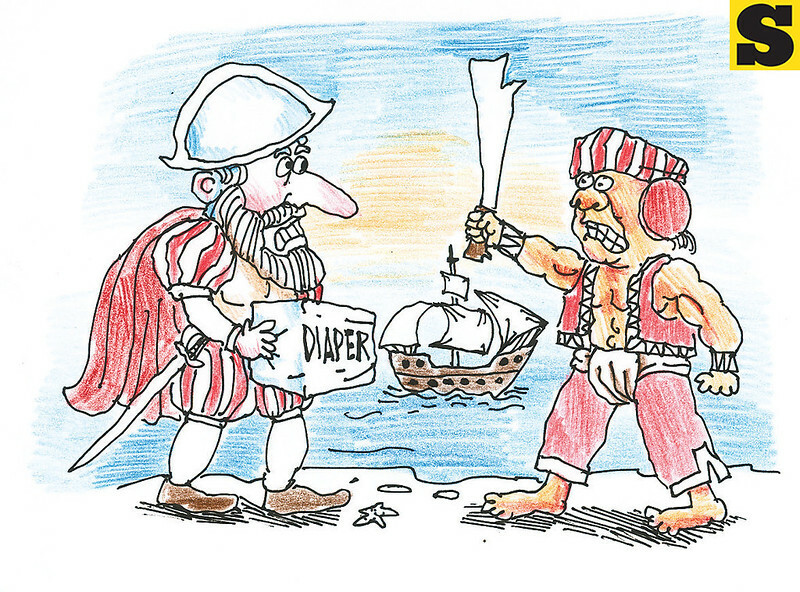 CEBU CITY -- Datu Lapu-Lapu challenged Portuguese explorer Ferdinand Magellan to a battle after the latter offered him diapers of poor quality. So goes a television commercial promoting a diaper brand. Lapu-Lapu City Mayor Paz Radaza called on Wednesday for the pullout of the latest EQ Diapers commercial, saying it is a “grave insult” to the Oponganons. The mayor also demanded a public apology from the owner of the product. “Distorting history and making the Battle of Mactan look funny on TV is a lame attempt to promote a product,” she said in a press conference. Radaza said she will write the National Historical Commission of the Philippines to complain about the 30-second commercial. “Datu Lapu-Lapu, together with one thousand of his men, bravely faced swords, crossbows, guns and cannons of the Spaniards and won the famous Battle of Mactan. That is why, as the duly elected leader of this city once led by Datu Lapu-Lapu, I find the EQ advertisement aired on national television a grave insult to the Oponganons and to the Filipinos in general,” she said. In the commercial, Magellan and his men offered a box of diapers to Lapu-Lapu and his wife as a sign of their friendship. But Reyna Bulakna, Lapu-Lapu’s wife, rejected the gift because of the diapers’ poor quality and presented EQ diapers. Radaza said she first saw the commercial about six months ago. With the City commemorating the Battle of Mactan this month, the mayor said it is high time she called for the pullout of the advertisement. “I am disturbed to hear young children talk about the ad and consider it as a true reflection of history,” she said, adding there are other ways that the diaper company can promote its product. “As a good corporate citizen, they must help preserve the lessons of history and promote our country’s culture and heritage, not mock it with crass commercialism,” the mayor said. Radaza said she is not against using the Battle of Mactan in a TV commercial, as long as it does not distort historical facts. On April 27, 1521, Lapu-Lapu killed Magellan in what would be known as the Battle of Mactan. The chieftain of Mactan had opposed Magellan’s mission to convert the natives to Christianity. The City has staged a yearly reenactment of the battle since 2000. Radaza has called on legislators to pass a law declaring April 27 a public holiday. “Seryoso ta sa atong pagtratar kang Datu Lapu-Lapu. Dili ta ganahan nga bugalbugalan siya (We treat Datu Lapu-Lapu seriously. We don’t want him to be mocked),” the mayor said.